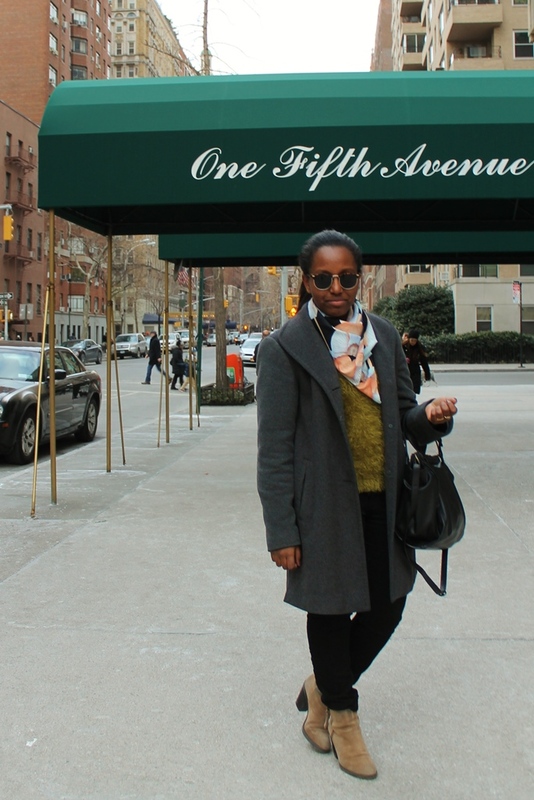 New York Street Style | StyleAble Fashion For Everyone! "My favourite winter accessory is my pair of fingerless biker gloves." 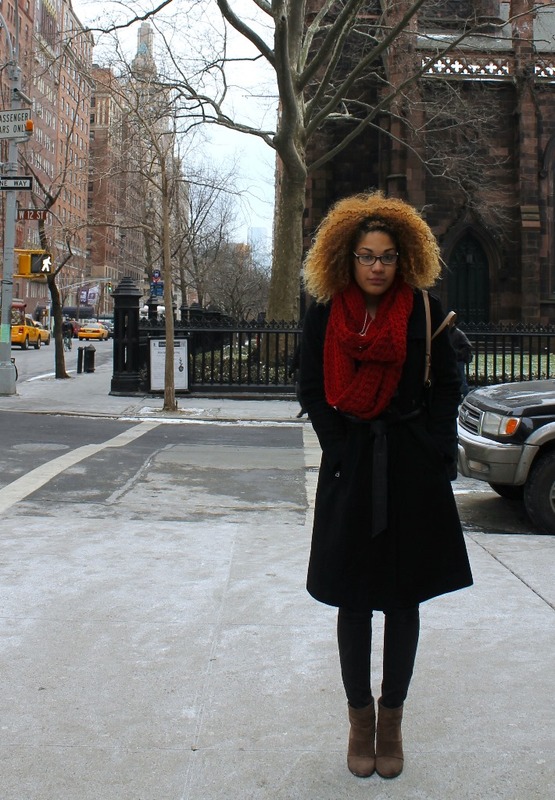 "During the winter I love super basic but chunky sweaters. They are easy to mix with t-shirts underneath." 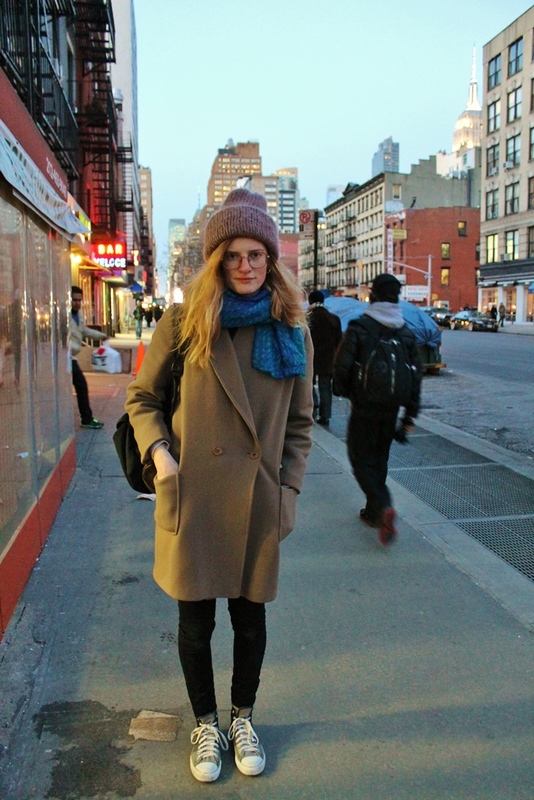 "I like a lot of French Vogue editor's styles." 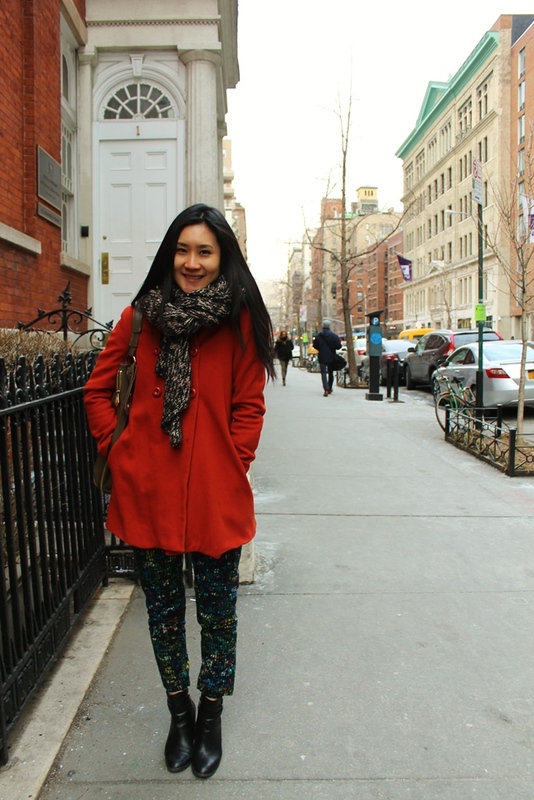 "I love to wear my warm scarf, and I never forget my booties."